OS: Ubuntu Server 16.04 64bit. The build was in a Modem Pak 600mm rack that i picked up on trademe for $1 with a 10A PDU for power distribution including two shelf's. Their are a few people building 8 card rigs with Z270 chipsets but the H270 is cheaper so a much better choice for the cost benefit ratio. 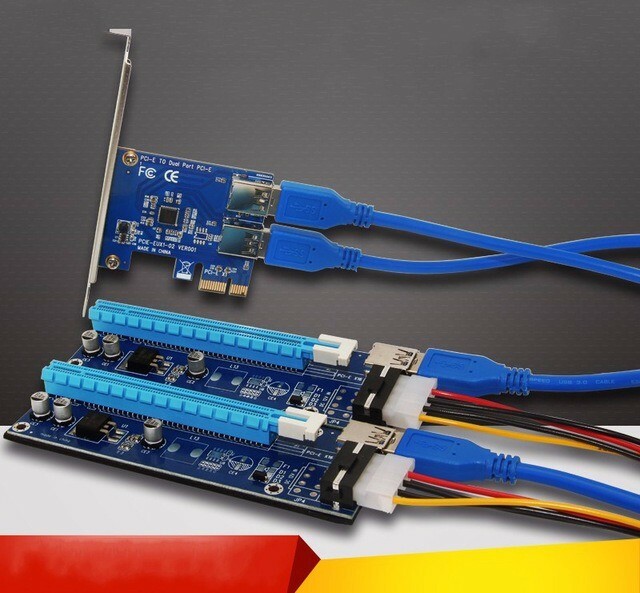 I also have a pair of 1x PCIe to 3 PCIe 1x expansion boards so in theory i could get to 12 cards. My initial test with the PCIe expansion cards are they are not stable enough to utilize where up-time is key. 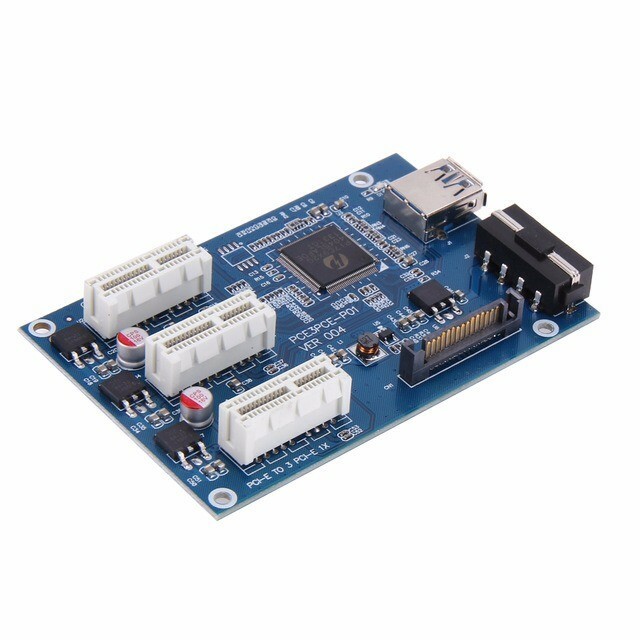 Instead i have order 2 of these, which are different in that they are a direct to Riser design which eliminates the extra connection when compared to the above design. This should in theory cause less signal degradation as only one hop is required to the riser instead of two. 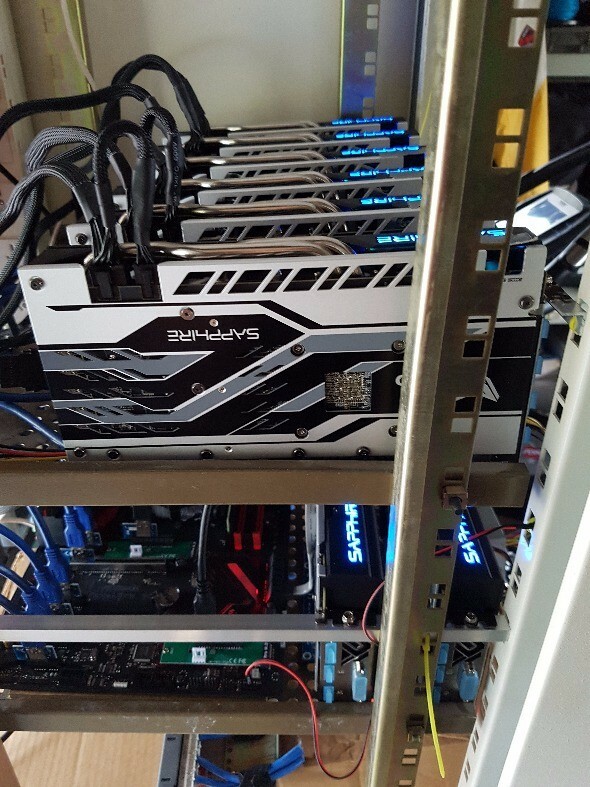 These should therefore be a much better option for expanding your mining rigs. These are also available in a 4 way package. 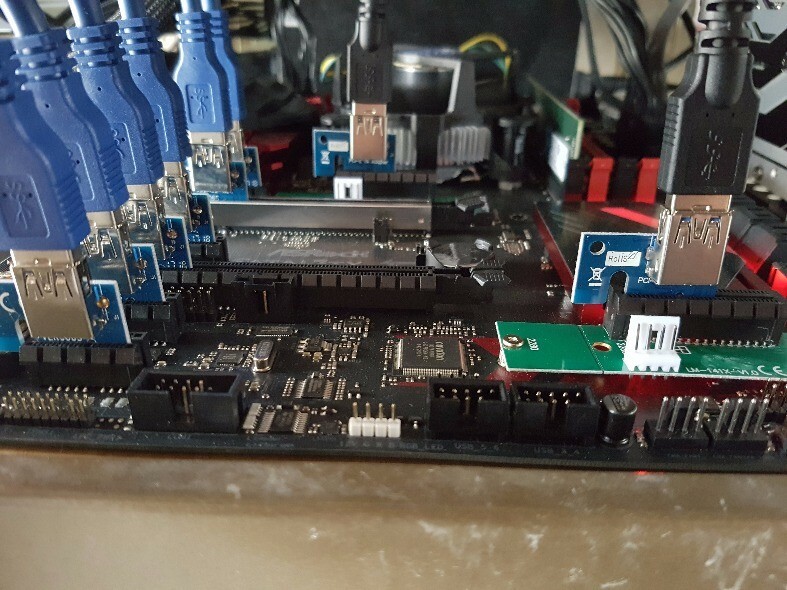 Utilizing 2 of these expansion boards 10 GPU's should be possible, I'll update the post when I have tested them out.